Gregory Infante has not reported to Spring Training yet due to an illness, Roch Kubatko of MASN reports. Infante is dealing with an illness that doesn't allow him to leave the country just yet. This doesn't appear to be a long term issue, although there is no timetable for his return to the United States. 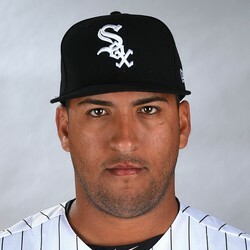 Infante in parts of the last three seasons for the White Sox posted a 3.56 ERA and a 7.9 K/9 over 68 1/3 innings pitched.